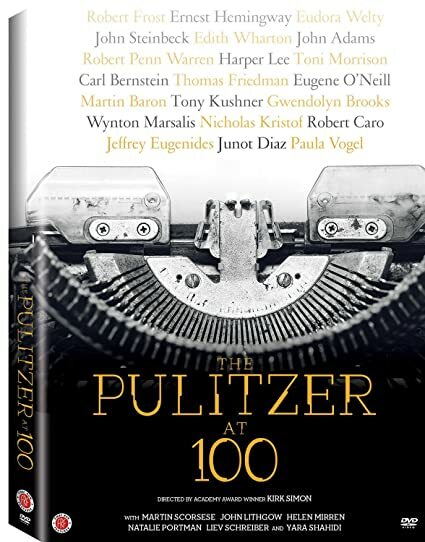 The Pulitzer at 100 - BUY THIS DVD! This new documentary by Academy Award-winning director Kirk Simon celebrates the centenary of the Pulitzers the revered national award for excellence in journalism and the arts. The Pulitzers have had an immeasurable impact on American sensibility and beyond over the past 100 years. The riveting tales of the winning artists give an insider's view of how these pinnacles of achievement are selected and how the award has the power to change lives and communities. The diverse stories explored in the film relate to immigration, race, gender, and above all freedom of speech all issues that are ever more relevant in America today. Featuring interviews with notable prize recipients including authors, journalists, playwrights and musicians such as Toni Morrison, Michael Chabon, Junot Díaz, Tony Kushner, Paula Vogel, Carl Bernstein, Robert Caro, Nicholas Kristof, Thomas Friedman, David Remnick and Wynton Marsalis, the film also brings Pulitzer-winning works to life through readings by Martin Scorsese, Helen Mirren, Natalie Portman, Liev Schreiber, John Lithgow and others. Interwoven with the stories and readings is the history of the man who created it. Joseph Pulitzer, who came to America to fight as a mercenary in the Civil War, left money to Columbia University upon his death in 1911. A portion of his bequest was used to found the School of Journalism, not only to elevate the profession but also to establish the Pulitzer Prizes, which were first awarded in 1917. Today, the iconic prizes represent the highest standards of integrity and excellence in the arts. THEN SEND IN A COMMENT ABOUT YOUR FAVORITE FUNIMATION TITLE (you may click on artwork above for a refresher) PLUS YOUR NAME AND ADDRESS TO contests@efilmcritic.com or WeLoveHBS@aol.com. (Just one e-mail please.) Put [b]"AND THE PULITZER GOES TO PUTLITZER" in the subject line and cross your fingers. We will draw names and one of the prizes could be yours. Only 1 entry per household.